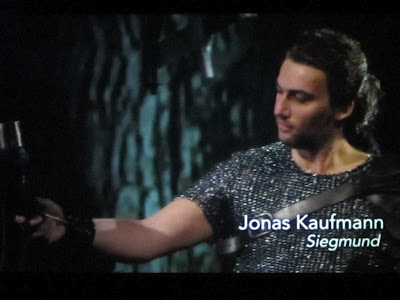 Die Walküre in HD ran last night as part of a complete Ring cycle that finishes on Saturday. Philistine that I am, I have not been exactly thrilled. For me Wagner soars often enough to keep me in the game, but he also gives me gigantic extended scenes that bore me to tears. One of my fellow bloggers says she has seen 9 complete Ring cycles in the last year. Ugh. I think I would give up opera. My favorite Wagner has always been the Wesendonck Lieder. Soaring and terse all at the same time. 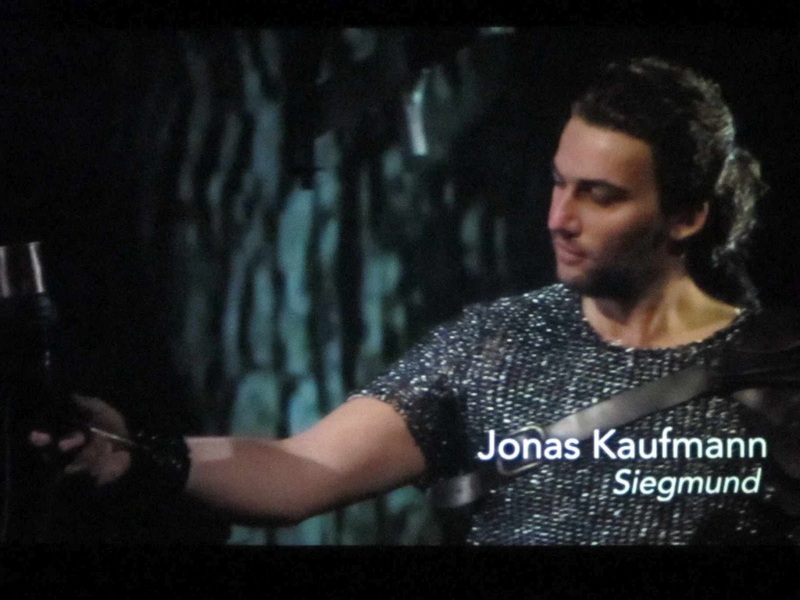 Eva and Jonas were still wonderful--beautiful AND passionate. I think I'm used to the machine. I remember that in the house you can see the black-clad gremlins that lurk behind the set, but not in the movie theater. I rather like that it doesn't really translate into an "interpretation," if you know what I mean. James Levine has done a complete Ring before, which included Jessye Norman as Sieglinda. I guess we should not feel too sorry for him. I sincerely hoped that I would like Bryn more this time, but I didn't. He's all talky and melodramatic when I only want that wonderful, soaring Wagner line. Do I care what they're talking about? Not really. I made it through 4 hours and went home.